Chitra is an Education and Immigration Consultant with over 20 years of experience in the areas of International Education and Business Consulting and now Immigration. She believes in full transparency and the best service for her clients. Chitra has helped many clients with their visa and permanent residency applications. She works with the clients to find the right immigration path by strategizing the best way. 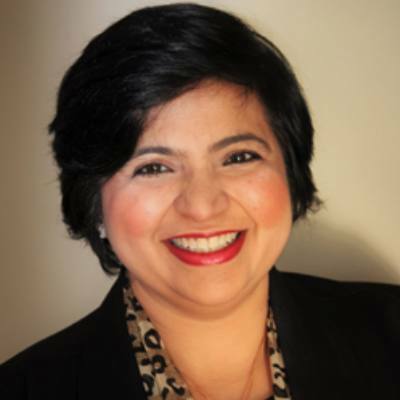 Chitra Bhatia is a Regulated Canadian Immigration Consultant (RCIC) and a business owner of Chitra & Associates Immigration Consultants Inc. and Study Abroad Xperts Education Inc. Chitra has an office in Vancouver, BC, however, her clients are from around the world. She has successfully dealt with clients from Canada, India, USA, Europe, middle-eastern countries, Jamaica, Vietnam, Senegal, Pakistan etc. Originally from Delhi, India, she graduated with a Master of Science (M.S.) in Consultancy Management from BITS Pilani, an institute known for its high standards of education and prestige in the industry. If you are a Student in Canada or a Post Graduate Work Permit holder, you can book a consultation to know the best path to Immigrate. You can opt for Complete Service, guided service or an application review. Whatever works best for you! We assist you with applying for Visitor Visa, Study Permit and Work Permit. Specializing in Provincal Nominee Programs for British Columbia, Ontario, Nova Scotia etc. Inadmissibility due to any reason can affect the future applications and the desire to immigrate to Canada. You can contact Chitra for consultation on Criminal Inadmissibility, applying for rehabilitation, Temporary Resident. We assist clients in applying for their permanent resident cards.